Say hello to Aurora! 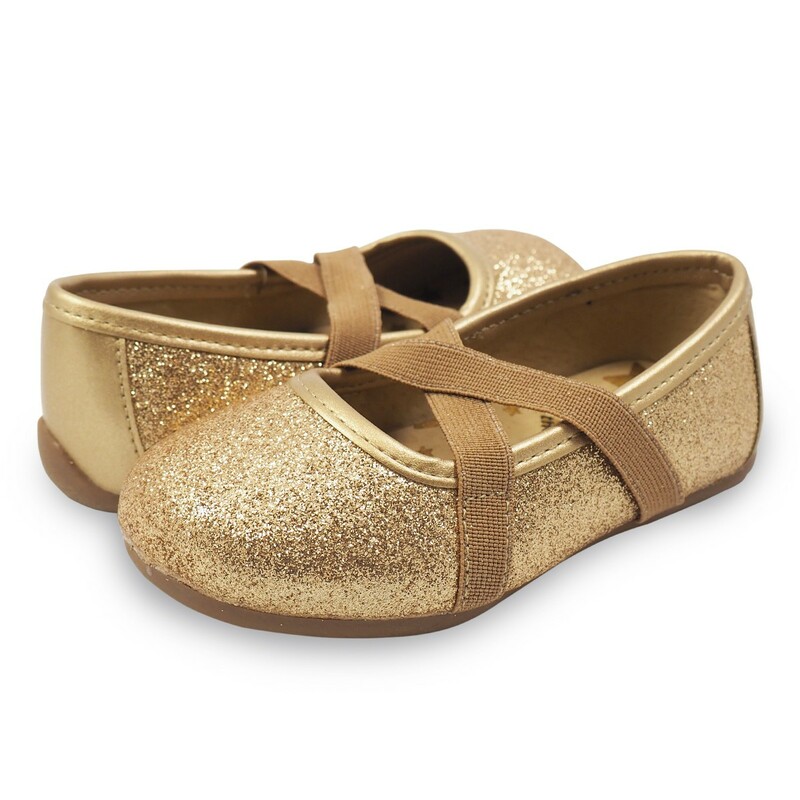 An adorable ballet flat for little girls, that's sure to bring out the dancer and dreamer in every child. 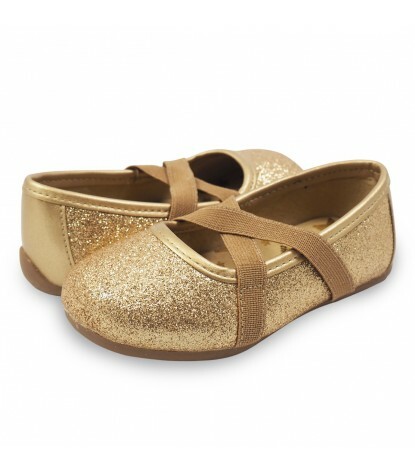 An extremely versatile shoe, Aurora can be worn daily or added to any holiday outfits for a touch of sparkle and shine. Made with a sparkly gold synthetic leather exterior and natural leather lining, this shoe is just as comfortable (and durable) as it is cute!